A few PR products were made within the OpenArch project, among others shields with the OpenArch logo. 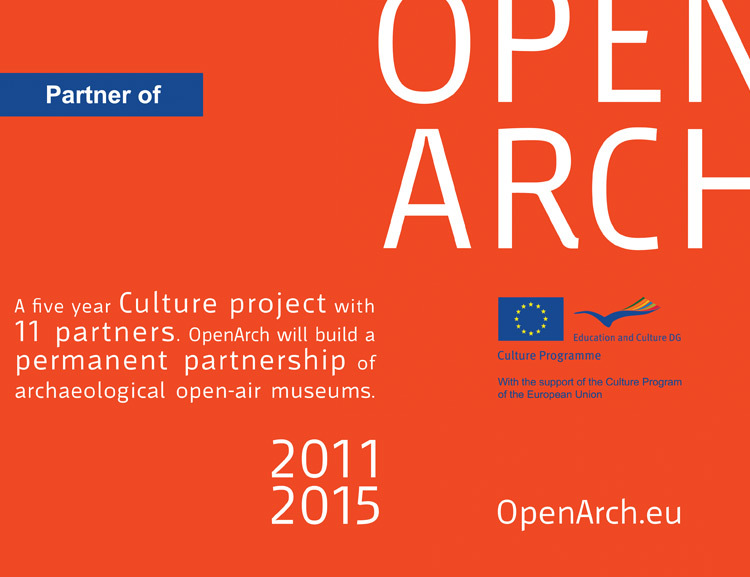 Those are to be placed near the entrance of partners' premises, showing their visitors they are involved in OpenArch. Hein Klompmaker, director of the Hunebedcentrum and Ilaria Pulini, director of Parco Montale and EXARC Chair helped Tanja Klip, Deputy of Culture (media/museums) of the Province Drenthe to reveal the shields placed at the Hunebedcentrum during the II OpenArch meeting.